A joint research study by universities in the UK and New Zealand have found that smokers are more likely to cut down or stop smoking altogether when using e-cigarettes. 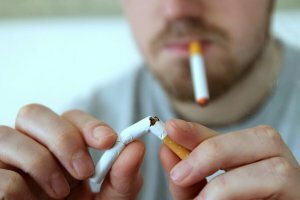 The Cochrane Library review placed 662 smokers into randomised trials, and found that 9% of those on e-cigarettes had quit smoking by the 1-year mark, which is twice as high as the number of people who quit using nicotine placebo methods. In addition, 36% of those on e-cigarettes had also cut down on their smoking by half, compared to 28% of those using nicotine placebos. One of the professors conducting the review, Peter Hajek, said that the review helped to show that e-cigarettes can be an aid to quit smoking in certain circumstances, and, though they are not without their risks, they are still a better choice to go for than regular cigarettes. The review should also help to pave the way for further research, which will help to guide the regulations that are set to be put in place to help make e-cigarettes safer to use. If you’d like to cut down on or stop smoking, trying an e-cigarette may work for you. Visit our store to buy rechargeable and disposable e-cigarettes, starter kits, refills and e-liquid.